A concise guide to emergency horse treatment. 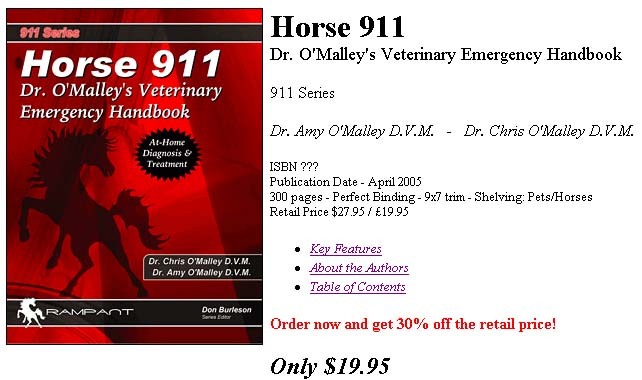 You won't want to miss this emergency horse treatment book! 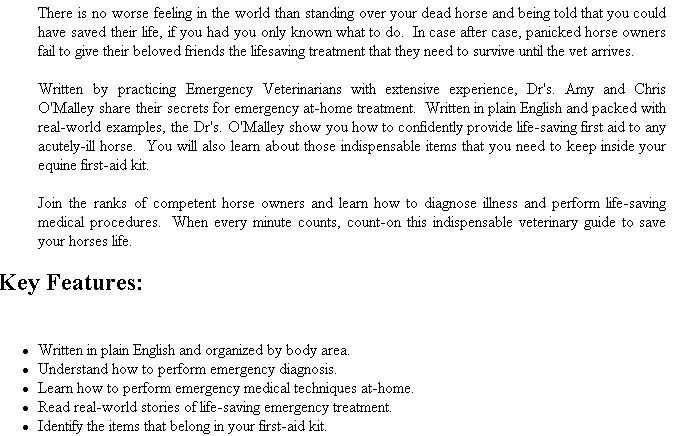 Our expert emergency horse treatment veterinarians have compiled an emergency horse treatment book that is sure to be a "must have" for every horse owner.